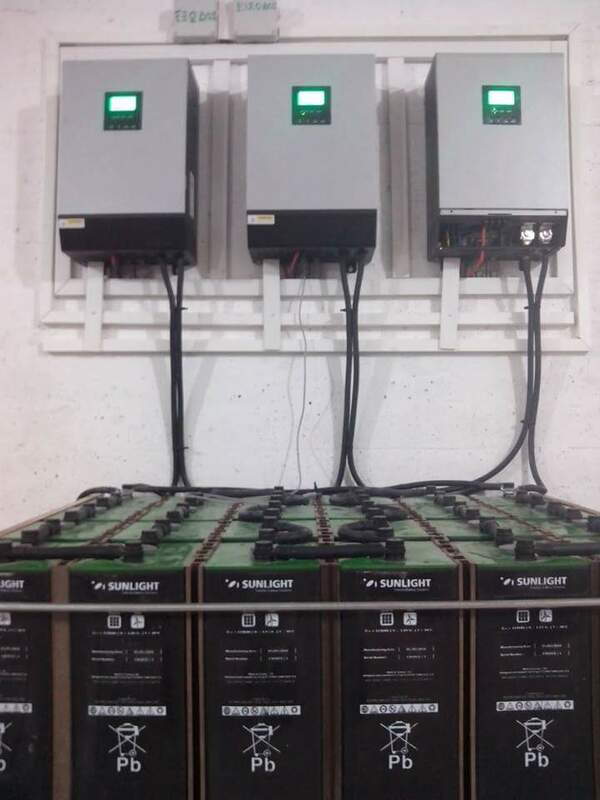 Three single phase solar inverters with built in battery charger are installed in three phase configuration. The owner of the off-grid system said: I was extremely fascinating to start producing my own electricity, I am completely independent and do not rely on the energy prices anymore. The installation was carried out without any issues. Voltacon offered unlimited technical support over the phone. Our local electricians were installing for first time solar off-grid inverters but we found this experience flawless thanks to the solar experts of Voltacon. It is right to say that the whole system was really plug-n-play and it does require special programming skills. Needless to say that the design study from Voltacon was very useful, the Electrical Engineers took into account every single detail. Picture: Three single phase solar inverters with built in battery charger are installed in three phase configuration. This is a list of our solar equipment for a continuous three-phase supply. The system is fully expandable, that means more batteries, inverters and panels can be added at any time. Voltacon offers unlimited possibilities to their customers and add more value to their photovoltaic investment. The installed power of solar panels is 9kWp that is divided in 3 groups of 3kWp each. The three battery MPPT chargers are charge a single 24kWh bank of vented tubular batteries. Another 9kWp of solar panels, the Conversol 5kVA DUO is an off grid inverter with 2x MPPT inputs. 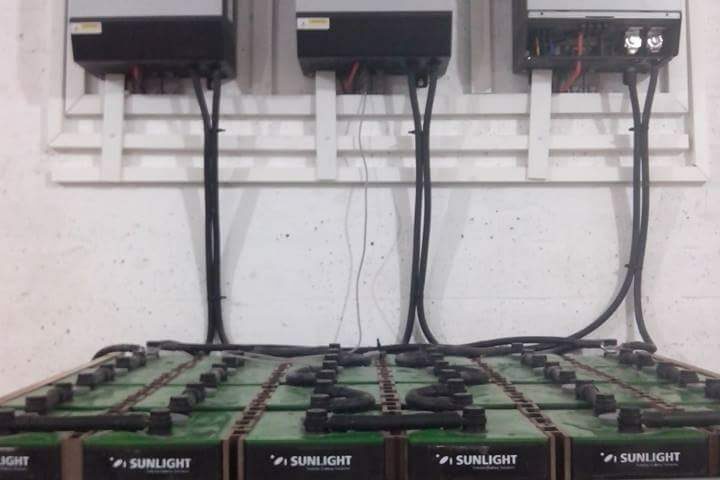 Add more batteries in parallel to reach 48kWh of stored energy. The user can install more inverters in parallel. The possibilities are endless.